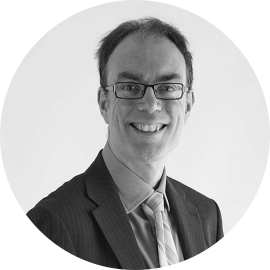 Carl’s great talents at work stem from both his technical expertise in financial reporting, company law and the vagaries of accountancy software and his thoroughness in ensuring that every job is properly structured and completed to a high standard. He joined a top 10 firm of chartered accountants as a ‘junior’ in 1988 and ‘rose through the ranks’ to take on a managerial role. During that time he gained a considerable amount of accountancy and tax experience, working with a wide range of clients, from sole traders and personal tax cases to more sizeable limited companies with international operations. He also developed a specialist role regarding compliance with Generally Accepted Accounting Principles for corporate accounts. With Jacobs Allen, he continues to enjoy dealing with similar types of work and clients. He acts as our internal source of help on a number of operational matters and is always ready to assist wherever his talents make the work for a client more efficient and robust. He manages the preparation of regular management accounts for those clients who wish to have this valuable source of up to date management information in order to better develop their businesses. Outside work, Carl’s focus is across a range of sport and be very afraid if he challenges you to a game of snooker! He is a central member of our successful quiz team (previous winners of the Bury Abbey Rotary Club Quiz, competing against much larger firms of accountants, solicitors, banks and other businesses) with a huge general knowledge base, so even if your query hasn’t got anything to do with accountancy, rest assured we know where to go to get you the answer!